Google Images Are Not Free Use... and Other Copyright Issues. A copyright is a form of Intellectual Property as are patents and trademarks. Copyrights are the most common form of we encounter in everyday business and personal use. We learned about copyright and plagiarism when compiling our first report for grade school. The same rules apply with internet content. You research multiple sources to gain an understanding of the subject or a clear visual and then interpret it in you own words or creation. When you add a direct quote or paraphrase content, seek permission and include the credit where it occurs and also at the end. When you use photos or graphics do your best to contact the original creator to get permission for use and always name the artist underneath the image. We often have customers send us images they have found in Google Images. Unless you have permission to use these visuals from the original artist they are not legal for use in your digital or print marketing pieces. I know Google makes it really easy, one search and you find the most awesome artwork ever! But hands off unless you want to get slapped with a copyright infringement. If hiring a photographer or a graphic design studio to create original images is not in your budget for small projects, there are other options online. Many stock photo websites have visuals, including videos, that companies can purchase for use in their blogs, websites and corporate marketing pieces. The graphics and photos vary in size, resolution, cost, plus have levels of permissions and use. Be sure to read agreements closely prior to purchasing and downloading. Most of the restrictions with stock art is that you do not use it for use on items you will be reselling. For instance an original rendering of an owl you purchase and download can be used on your website, brochure, and all your company brand items however you may not be able to print greeting cards with the same owl on it and offer them for resale. Connection Group holds some subscriptions to a few stock art sites and if you are looking for a particular subject Connection Group may be able to purchase them for your use and save you from the sometimes high cost of subscriptions that you don’t plan to use frequently. Knowing the high amount of copyright abuse on the website you may want to add the copyright symbol and user agreement on your website. Obtaining copyrights for your original work is easy and inexpensive. Go to copyright.gov and for $35 you can apply for legal ownership of your creations online. 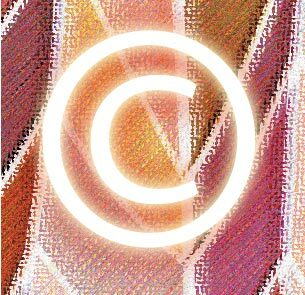 Having a copyright on your website or printed piece doesn’t ensure your original work will not be stolen, but it does give you legal grounds to take legal actions if you find someone has infringed on your copyright. For more answers to common copyright questions this page has a pretty comprehensive list. Otherwise, if you don’t know – don’t do it. Take Back Control of the Photos on Your Facebook Page. Previous PostPeace Day September 21st 2013Next PostCan A Small Business Blog Increase Website Visits?